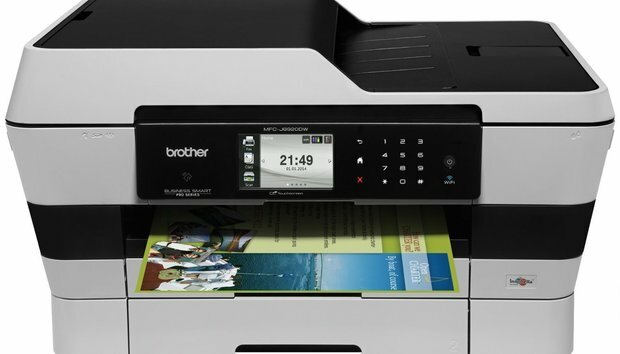 Brother has announced that a series of printers, currently available, are enabled with Amazon Dash Replacement and can now order their own supplies when needed. Manufacturers include a button on their device which, when pushed, triggers a product to be securely ordered and shipped, with no other human intervention. Manufacturers design their products to monitor their own usage levels and proactively place orders as needed. Amazon is making DRS available to anyone, and documentation is freely available on its site. Several well known brands have plans to release DRS-enabled products in the next 30 days. Brita, Whirlpool, GE, and Oster, for example, all have DRS-enabled devices scheduled to hit the market in the next month. Remembering to buy dog food will no longer be a worry -- there are three companies that are promising gadgets for that. Brother, however, appears to be the first major manufacturer with products readily available as of today. So if you're in the market for a new printer for your home or office, you may want to consider one of these DRS-enabled models. They range in price from $89 to $629 and can be purchased through Brother's DRS page. If you already own a Brother printer, check to see if your model is compatible here.